There are two Lehmann masterclass DVDs available from VAI that were filmed at the Music Academy of the West. Lehmann demonstrates both opera and Lieder. 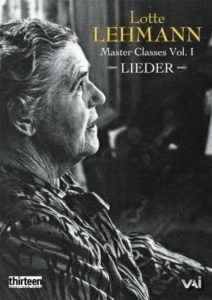 You’ll find audio of various Lehmann master classes in Lieder, mélodie, and art song in alphabetical order. Lehmann’s master classes in Song Cycles are available. 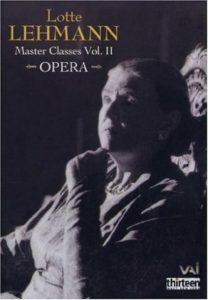 There are also audios of Lehmann master classes in arias and opera scenes in alphabetical order.